Canada is the second largest country in the world. With a country so vast and beautiful, it’s difficult to choose the best bucket list destinations to discover. Our Montreal bucket list alone is endless (where we currently call home), but these are just a few of our favorite Canadian destinations. Take some time to cross these must-dos off your Canadian bucket list. Set inside the borders of the vast Banff National Park, the area that surrounds these two towns is one of the world’s most awe-inspiring mountain destinations. With easy access to stunning blue glacial lakes, waterfalls, abundant wildlife, pristine wilderness, and endless outdoor adventures, Banff & Lake Louise should top your Canadian bucket list. Moraine Lake is a glacially fed lake in Banff National Park, just 14 kilometres outside the Village of Lake Louise, Alberta, Canada. It’s one of Canada’s 10 most photographed natural places. Set on the shores of Hudson Bay, Churchill has earned international fame as the polar bear capital of the world. So plentiful are the polar bears that the town actually has a “polar bear jail,” which holds bears that wander into town until they can be released back into the wild. While they may look cute and fluffy, they are still hungry bears and they actively hunt humans. 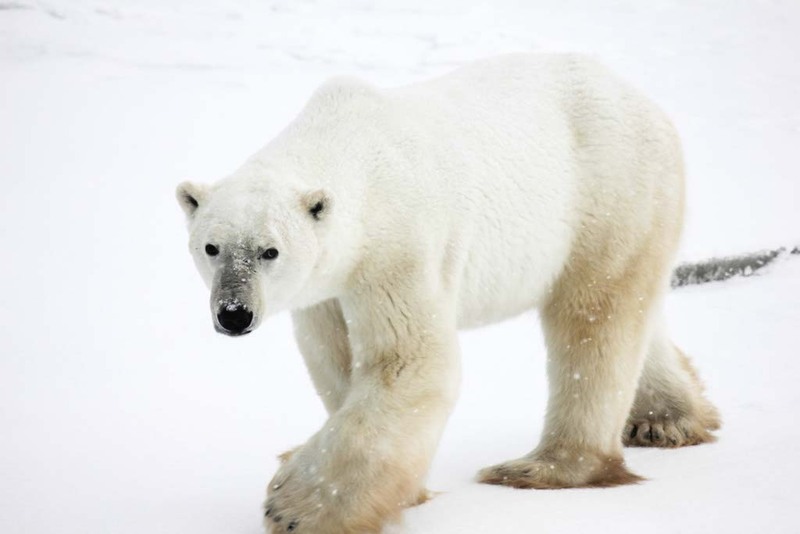 To be safe, it’s best to book an excursion with a tour company such as Churchill Nature Tours. The best time to spot the bears in their natural environment is October through November. Known as the Honeymoon Capital of the world, Niagara Falls is a prime tourist destination for lovers. The city of Niagara Falls plays host to about 50,000 honeymooning couples a year and Niagara Falls Tourism even gives out honeymoon certificates. The city has given out almost one million of these certificates to date. Niagara Falls isn’t just for honeymoons though and it’s an equally magical destination for families. Man-made attractions located within walking distance of Niagara Falls include Hornblower Cruises, Clifton Hill attractions, Greg Frewin Theatre, WildPlay’s MistRider Zipline, Niagara’s Fury, and Fallsview Indoor Waterpark. Within a short drive of Niagara Falls, you can find Marineland, Safari Niagara, Oh Canada Eh? Dinner Theatre, Americana Waterpark Resort & Spa, and Niagara Helicopters. 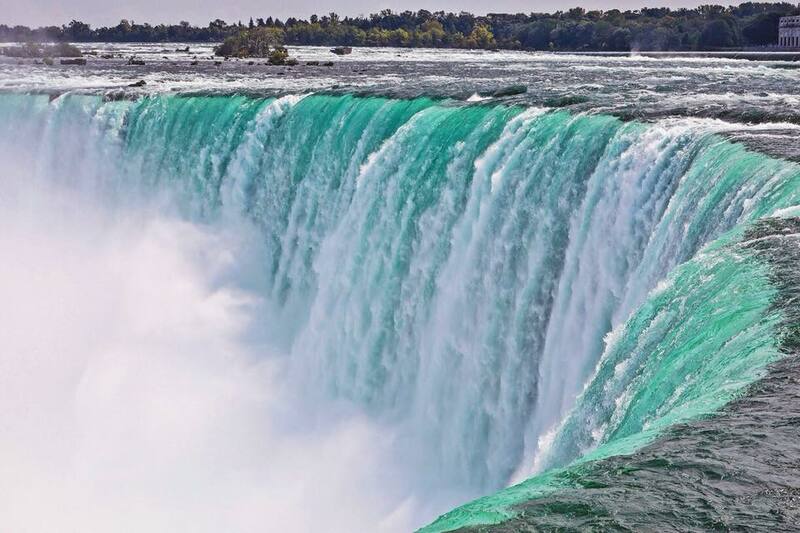 To read more about the fun things offered in Niagara Falls, check out our Niagara Falls Bucket List. Toronto is our favorite city in Canada to visit. It’s full of culture, entertainment, natural beauty, and delicious food. As Canada’s most populated city, it offers exceptional public transportation and there is something to do at every stop. There are ballet, opera, and theatre performances to watch and hockey, soccer, baseball, basketball, and lacrosse teams that all call Toronto home. 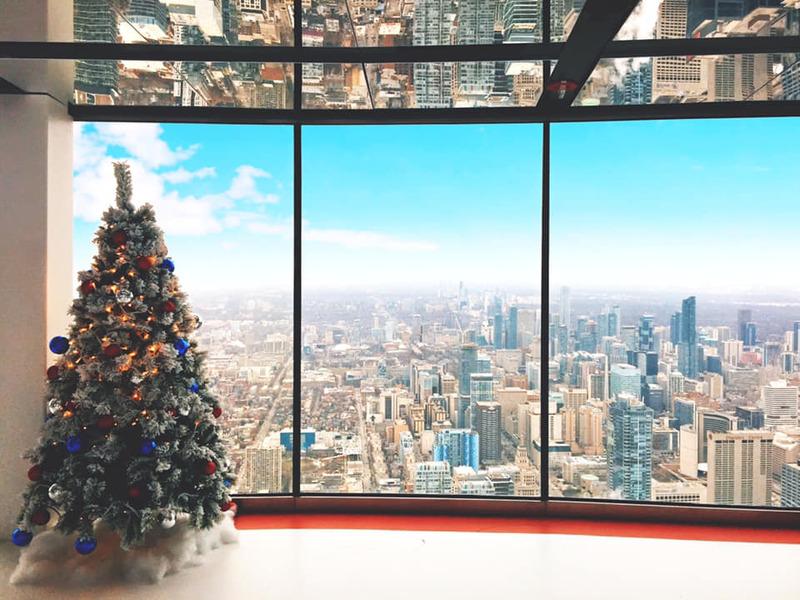 It’s also home to the CN Tower, the world’s 9th tallest free-standing structure, and Ripley’s Aquarium of Canada, Canada’s largest indoor aquarium. To read more about the fun things offered in Toronto, check out our Toronto Bucket List. The nation’s capital city, Ottawa, Ontario sits on the Ottawa River and has, at its center, Parliament Hill. It offers grand Victorian architecture and museums such as the National Gallery of Canada, the Canada Science and Technology Museum, and the Canadian Museum of Nature. The park-lined Rideau Canal is filled with boats in summer and ice-skaters in winter. The Rideau Canal is the largest naturally frozen skating rink in the world. 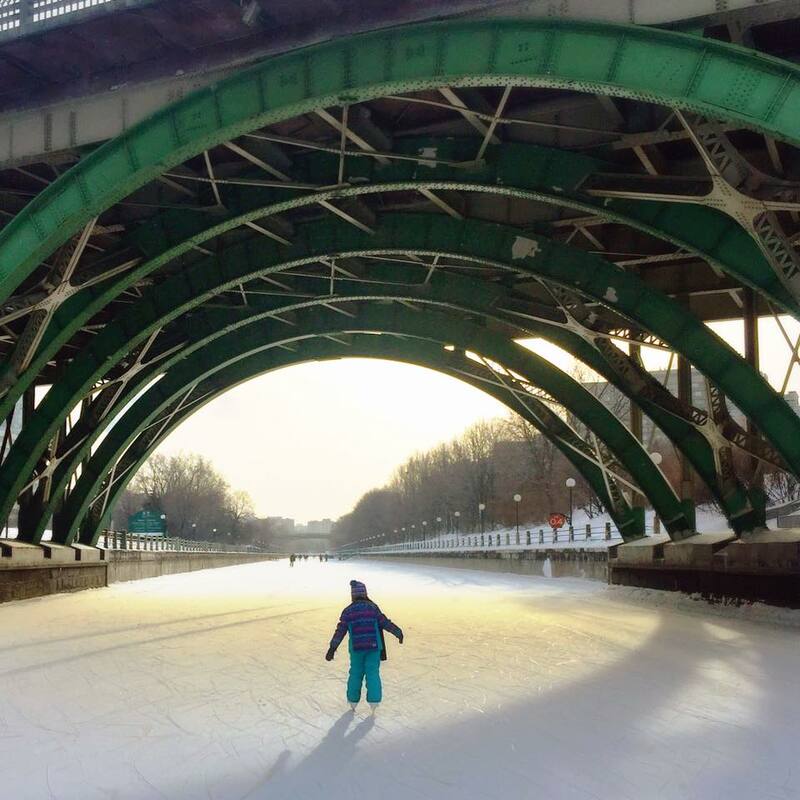 When the canal is open to skating, it’s free day and night! You can also celebrate Canadian winter fun during Winterlude in Canada’s Capital Region. To read more about the fun things offered in Ottawa, check out our Ottawa Winter Bucket List. 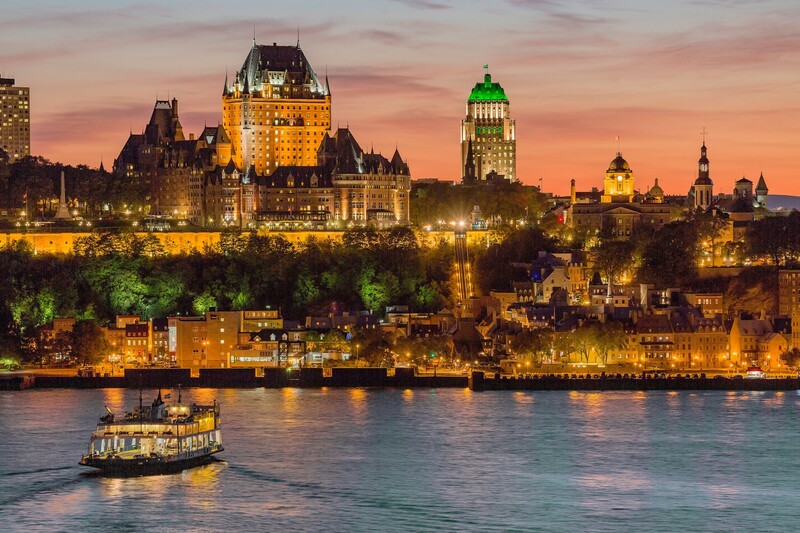 If European-style architecture and old-world charm are on your Canadian bucket list, Quebec City is the place for you. Old Quebec is a UNESCO World Heritage treasure and the only fortified city north of Mexico. Quebec City holds both European charm and sophistication alongside its unmistakable French Canadian character. Home to the iconic Chateau Frontenac, poutine, horse-drawn carriages on cobblestone streets, as well as Quebec City Winter Carnival, there’s always plenty to do, see, and eat in Quebec City. Hotel de Glace, Quebec City’s Ice Hotel, will transport you into a fascinating world entirely made of snow and ice. Mont Tremblant, located in the heart of the Laurentians, Quebec, is a wondrous natural playground. It offers a multitude of bucket list activities for the whole family. Does it get any more Canadian than being picked up by helicopter from a frozen lake and flying over the homes of professional hockey players? Take a tour with Heli Tremblant and you’ll discover the region in a unique, panoramic flight. 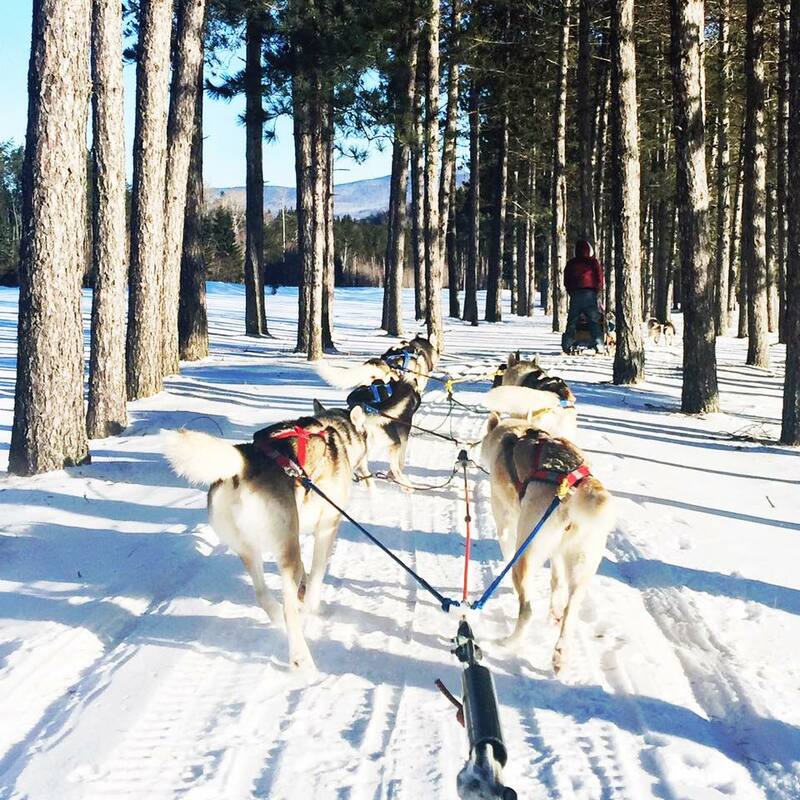 Can you imagine taking the reins of a pack of huskies as they pull you through snowy terrain? You can do that in Mont Tremblant as well. Known for its great powder, it wouldn’t be a complete visit to Mont Tremblant without skiing. You can take private, semi-private, or group skiing and snowboarding lessons at Mont Tremblant or get to know the mount yourself on any of Mont Tremblant’s 96 runs. To read more about the fun things offered in Mont Tremblant, check out our Mont Tremblant Bucket List. The Cabot Trail is a 185 mile driving loop that has picturesque lookout points, miles of hiking trails, lush forests, and endless beauty. 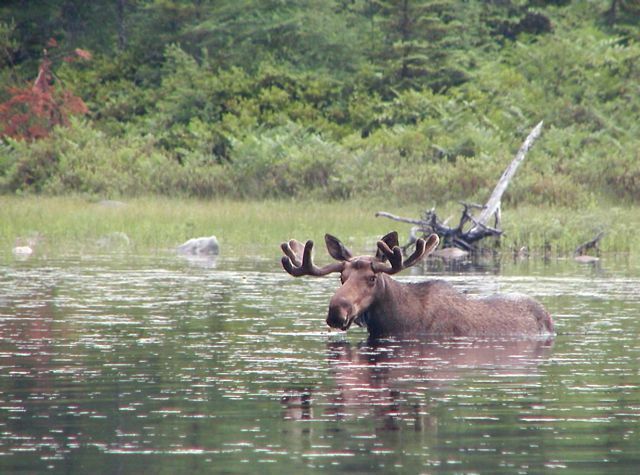 Highlights include the Skyline Trail, Mary Ann Falls, Ingonish Beach, and Uisge Ban Falls. Additionally, a popular local swimming spot is Black Brook Beach in Ingonish. It’s a great spot to catch some waves while boogie boarding. If you just can’t get enough of the Cabot Trail, check out 11 Not To Be Missed Stops on the Cabot Trail for even more inspiration. 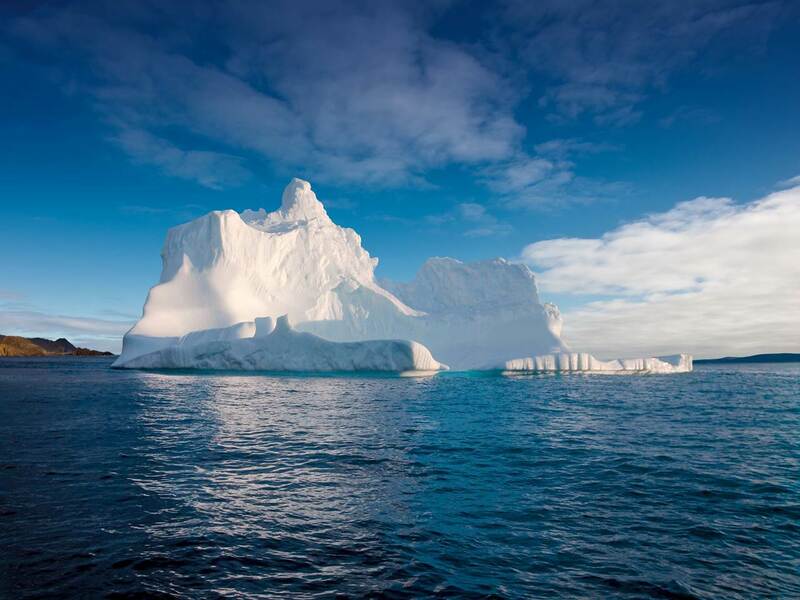 When it comes to viewing icebergs, Newfoundland is one of the best places in the world. On a sunny day, these 10,000-year-old glacial giants are visible from many points along the northern and eastern coasts. Iceberg Alley stretches from the coast of Labrador to the southeast coast of the island of Newfoundland. Which destinations top your Canadian bucket list? Did we miss any of your absolute favorites? This is such a great list. 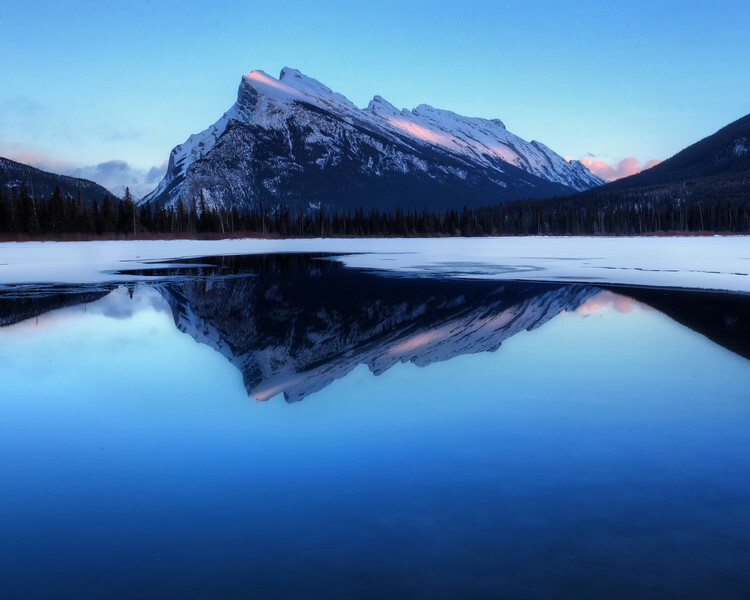 Banff is definitely on our travel list as well as visiting the East Coast. Quebec City is one of my favourite places. It’s beautiful. There is always so much to see and do. We’re heading to Quebec City for Winter Carnival next month. It will be my first time there for Winter Carnival and visiting the Ice Hotel. We’re so excited. I would have to say I would love to visit Quebec City, Quebec, and Churchill, Manitoba. But, then again, any of these beautiful places you listed would be amazing! I visited Churchill two years ago to see polar bears but I’d like to return to see the beluga whales in the summer. It’s on my list this year. 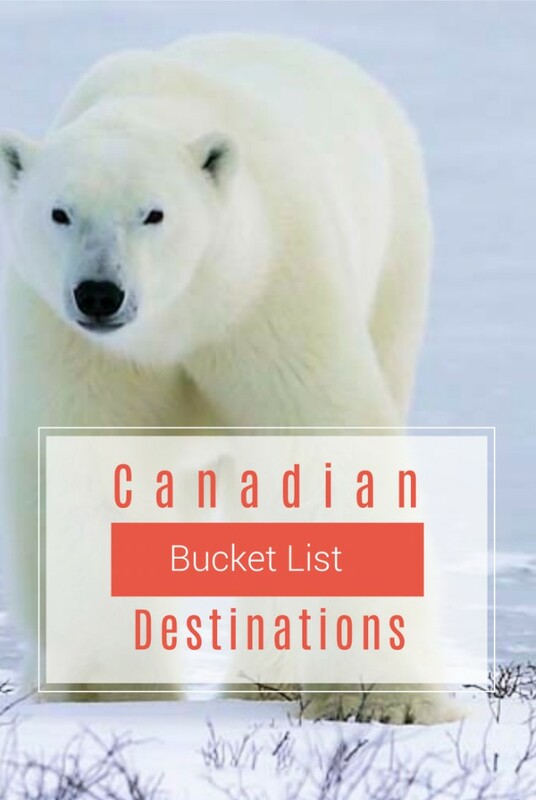 From a fellow Canadian, Thank You for making a great list like this so ppl can know there are great places to see in Canada. This servers as a reminder to us too that we can explore our own back yards!! I love this! Everything looks so spectacular. I don’t know if I will ever go to Canada, although I have family in Toronto but this are definitely something a person should see in their life. Where are you from? Toronto is a beautiful place to visit. There are lots of fun activities for all ages. Wow, gorgeous. My son has always wanted to visit Canada. It’s on our mom/son travel list. Do you have a certain area you’re thinking about visiting? This is fabulous. I live in Canada and there are so many great destinations you have listed here. It really is a beautiful country. There are so many more I could go on forever. I think I’ll continue to add to the list as I discover new destinations. Canada is such a beautiful place to visit and live. This is a great list of must see destinations ! Oh my word I so want to visit Canada after seeing this. I have been drawn especially by Lake Louse and Iceberg Alley. Yes, as you can tell I love water including the frozen kind! Wow! Canada is so beautiful, I don’t know why I never think to go north. I sure need to add this to my travel wish list. I really do need to take more time exploring Canada. I went to Quebec with a school program to practice my French. But I haven’t explored that much beyond that. Lots of great places to visit. My husband is dying to go on a trip to Canada. He wants to go on a fishing expedition! this looks like so much fun! I would love to visit Canada! We went to Winnepeg this last summer and we had a lot of fun. I would like to head further north though. I love Canada but have only been to Toronto and Montreal. Dying to get to several of the places on your list. So beautiful! We haven’t been to Canada since I was pregnant with my oldest daughter 10 years ago! We went to Vancouver and had an incredible week visiting tourist spots. I’d love to go again and see more locally loved places.